Would you pay more rent if it meant you could decorate? Interiors-fever appears to have hit the rental market, with new research suggesting that a staggering 20 per cent of renters would be prepared to pay an average additional £72 per month in rent, if it meant they could decorate. This is good news for landlords, with the potential to make £850 in additional annual earnings (not to mention ending up with a gorgeous property once their tenants have moved out). The research, carried out by British wallpaper brand Graham & Brown ahead of International Wallpaper Week, found that an average of 19 per cent of renters are currently prohibited from decorating their rented property, a factor that 43 per cent suggest either has (or does) put them off staying in a property for longer. What would renters like to do to their homes? With 24 per cent of those asked having been put off a rental property on account of its plain or magnolia walls, and a further 32 per cent dissuaded by coloured bathrooms, we're confident that these would be some of the first features to go, were tenants at liberty to decorate. 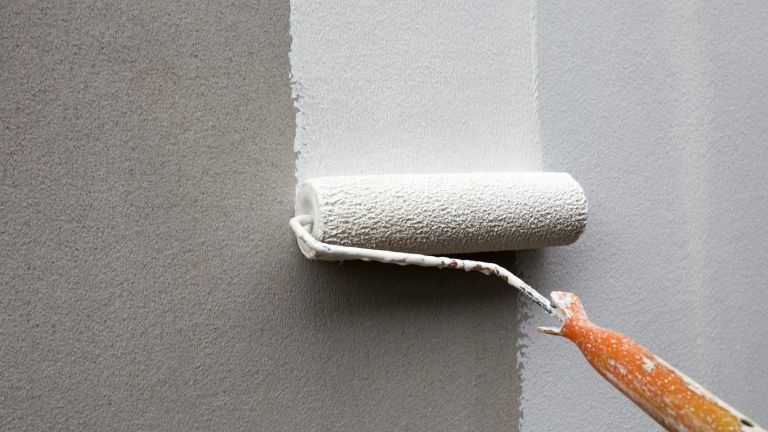 When it comes to the plans renters have for their properties, it seems that wallpapering is high on the agenda, with 85 per cent of survey participants suggesting that they like the idea, in particular on-trend feature walls. How do landlords feel about letting tenants decorate? An overwhelming 78 per cent of landlords asked stated that they would be unwilling to allow tenants to decorate on account of a lack of time to organise renovations or concerns regarding tenants tastes. That, said, there does appear to be room for change in thinking, with 32 per cent of landlords suggesting they'd be open to tenants taking on the interiors, if they were willing to pay for it, and a similar percentage suggesting that help from professionals would be enough to change their mind. How would being able to decorate benefit landlords? In favour of rental tenants being allowed to decorate is data suggesting that it, in turn, encourages tenants to actively look after their property – 44 per cent of those asked, to be precise. Alterations would also be at no cost to the landlord, in many cases, with 30 per cent suggesting they would invest their own money in order to improve the aesthetic appearance of their rental property. In addition to benefits for current tenants, research by Graham & Brown also suggests that its a prospect worth considering with regards to prospective future tenants, as nearly four in 10 (well, 38 per cent) have suggested that poor – or complete lack of – decor has put them of renting. Renters, it seems, are particular. For Graham & Brown, the solution seems simple: landlords and tenants need to meet in the middle. The Superfresco Easy Wallpaper does just this, having been specifically designed to help make the most of rented spaces. Designed as a short-term solution, non-woven technology ensures that wallpaper is easy to hang and remove with no lasting damage. It's as easy as that.